Evan Barber has been named the University of Illinois Springfield Employee of the Month for December 2018. He works as an Information Technology Technical Associate at Brookens Library where he handles in-house technology needs. According to his nominator, Barber is always looking for ways that the systems department can help the library improve services and resources to patrons. Barber’s dedication to students is evident by his involvement on the Haunted Library and Springfest event planning committees. He also has formed strong working relations with Information Technology Services and Student Life on campus. 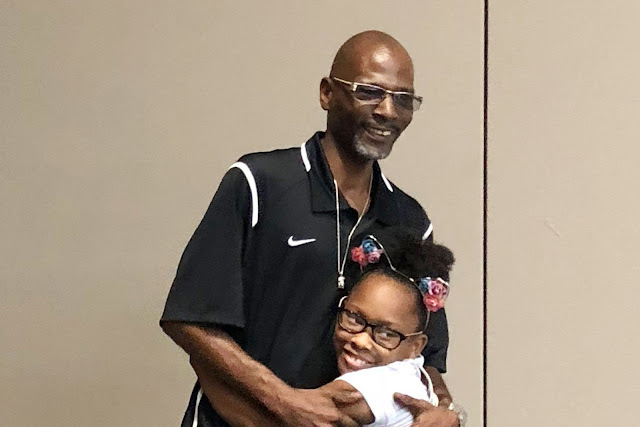 According to his nominator, due to the nature of his work, the impact of Barber’s work often goes unnoticed by the community at large, but that doesn’t stop him from constantly working harder and striving for better. “Evan is a joy to work with, and much of the library’s systems and services run smoothly because of him,” said the nominator. Pamela Scott has been named the University of Illinois Springfield Employee of the Month for November 2018. She is a library specialist who serves as the night supervisor at UIS Brookens Library. Scott also works with faculty members to make sure they have the course reserves that are needed. According to a nominator, she has recently been working with new software to make sure electronic course reserves are accessible. “Pamela cares deeply about providing positive experiences for our student employees and patrons and will go out of her way to provide those experiences,” said her supervisor. 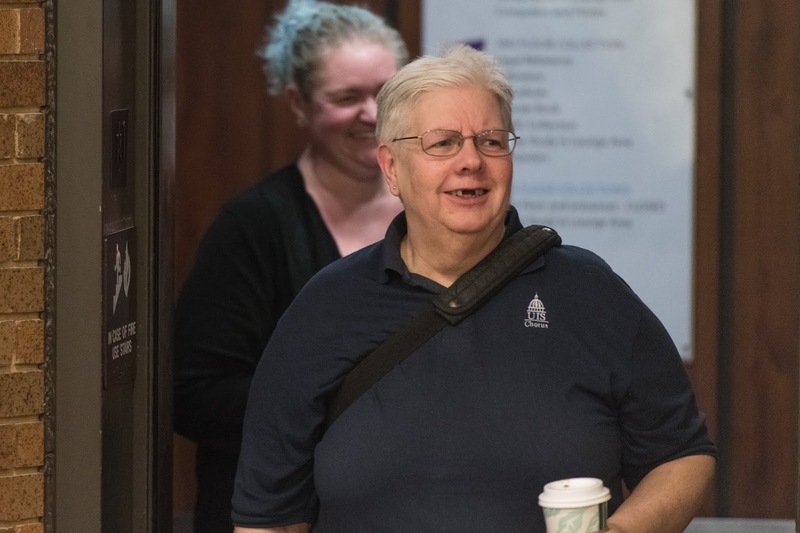 Scott recently showed her dedication to students by shifting her schedule to complete Safe Zone training through the UIS Gender and Sexuality Student Services Office. Her supervisor adds, Scott is “dependable and applies excellent judgment in emergency situations and is always on time.” She also plans her time off around intersession (between semesters) when her absence will have the least impact on library operations. Dana Marmino has been named the University of Illinois Springfield Employee of the Month for October 2018. He is Building Service Worker for UIS Facilities and Services. According to his nominators, virtually everyone on the fifth floor has commented about the noticeable improvement in cleanliness with Marmino on the job. Marmino’s supervisor describes him as “very dependable” and as an employee who goes above and beyond to make sure his co-workers are happy. 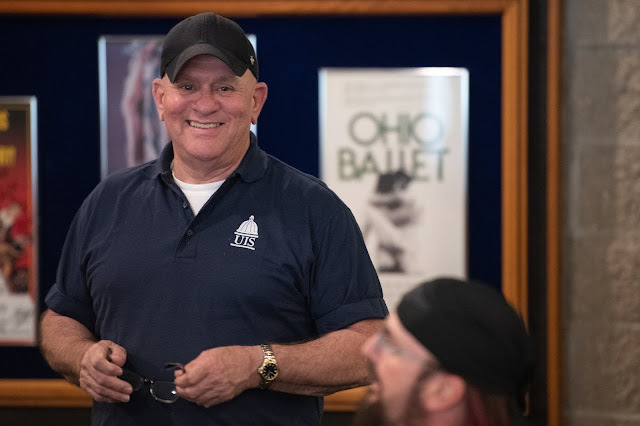 John Crouch has been named the University of Illinois Springfield Employee of the Month for September 2018. He is a Steam & Power Plant III operator with the Office of Building Maintenance, part of UIS Facilities and Services. Crouch helps to maintain the mechanical operations of campus buildings, including fixing boilers, chillers, heating systems, sprinkler systems, plumbing fixtures, light bulbs, elevators and other equipment. He also helps to make sure temperatures are comfortable in campus buildings. “If it is between the roof and the basement he usually has something to do with it,” said his nominator. Crouch’s co-workers praise his exemplary customer service skills, friendly and sincere attitude and his excellent work ethic. “He is always at work and puts in a good day of work and then some. He’s not afraid to stay over or miss a break or go to lunch late. He wants to get all jobs done in a timely manner,” said the nominator. His nominator adds that Crouch sets a “fine example” for his co-workers with his promptness and positive attitude. “John has been a very valuable asset to our department. He has an outgoing attitude and positive outlook on all situations,” said the nominator. Jay Swenson has been named the University of Illinois Springfield Employee of the Month for August 2018. 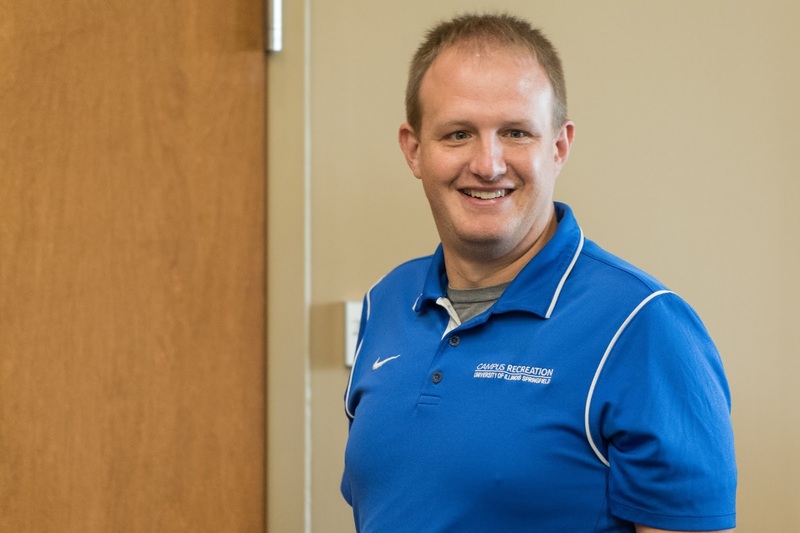 He is the assistant director of competitive sports and facilities for UIS Campus Recreation. 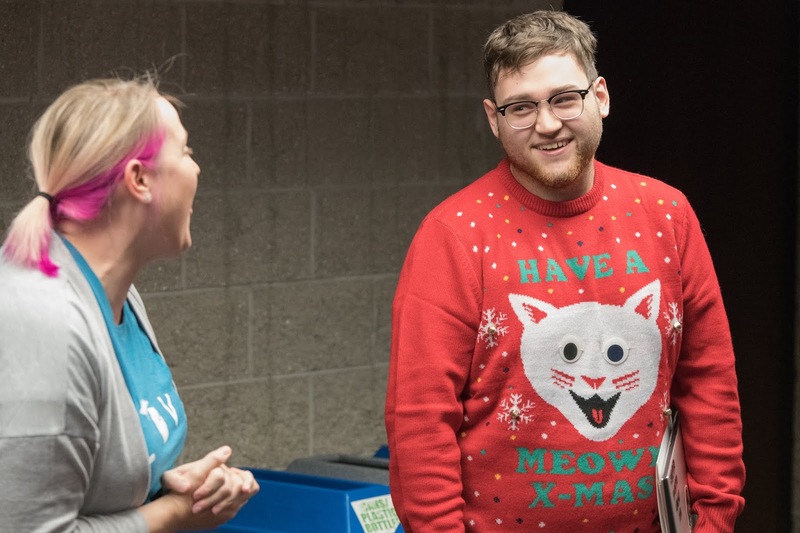 Swenson is known for continually working to improve the areas he oversees and for volunteering to help plan major campus events, such as Springfest. He recently took on additional job responsibilities in order to better serve students. An example of a new idea is Rec Madness, an event he created in April in order to bring more attention to the intramural basketball championship games. He created a neat atmosphere consisting of dip-n-dots ice cream, a photo booth and a three point contest. Swenson recently oversaw several major Campus Recreation improvements, including the installation of new lights in Rec Park, the addition of a miniature golf course and the upgrade of the sand volleyball court on campus. He recently brought back intramural softball, which has been played on campus in four years. He also helped students create a 3 on 3 basketball tournament and oversees international students who are part of the UIS Cricket Team. Outside of Campus Recreation, Swenson volunteers as a Springfest judge and helps with freshmen move-in day and commencement. He also volunteers at the Ronald McDonald House. “He is proud to work at UIS and it shows on a regular basis,” said a nominator. Charles Wells has been named the University of Illinois Springfield Employee of the Month for July 2018. Charles is a culinary worker in UIS Food Service. 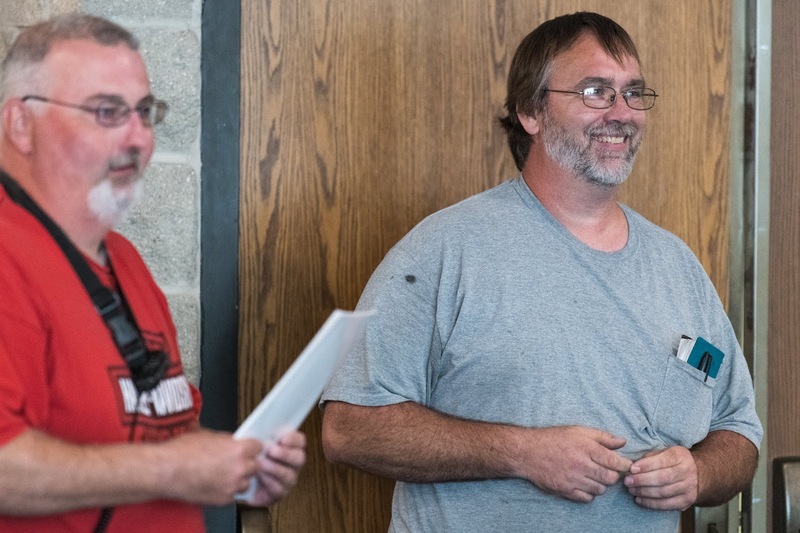 "To me, Charles is the epitome of an employee of the month," said his nominator. "He is warm, kind and friendly. He performs his duties with care and consideration, and he goes above and beyond to reach out to faculty, staff and students to make them feel welcome at UIS." Charles is known for his friendly smile and readiness to serve. His role is vital to students, in particular, on the UIS campus. "I have seen him connect with many students on a personal level, to make them feel more at home when they are away from where they grew up," said the nominator. Food is a way for people to connect and build relationships and Wells takes his role seriously. "I would love to see him win this award for so many reasons, but mostly because he is truly deserving." Jill Briggs has been named the University of Illinois Springfield Employee of the Month for June 2018. 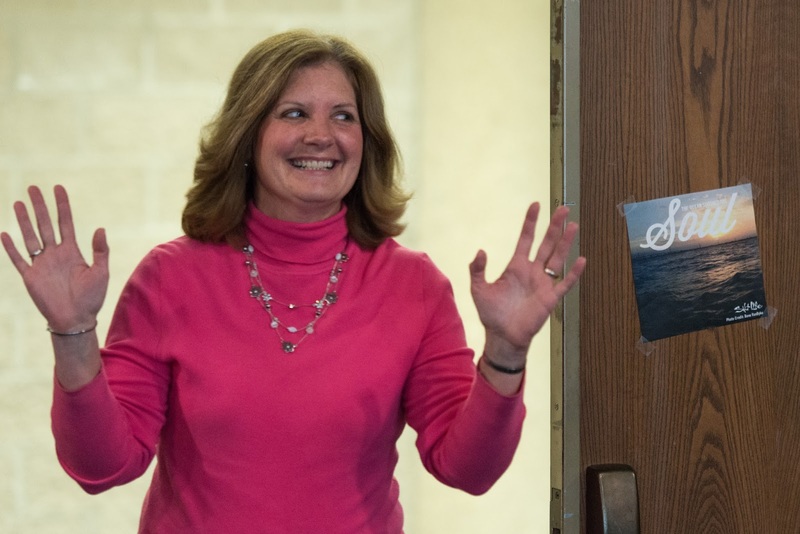 She has worked at UIS for more than 10 years, serving as a senior admissions counselor. In the past three years, she’s taken on additional responsibilities, such as managing the student ambassadors, a group of UIS student employees who give tours and speak to prospective students. She also oversees high school student group visits and leads preview days. Briggs has also made positive changes that have enhanced preview days for prospective students and their parents. She added a question and answer session, which allows prospective students to ask current students questions about UIS life and ease any worries. She also added a spirit team, made up of student ambassadors, who walk around and greet students as soon as they arrive. “Jill is firm and upkeeps high standards, imparting on us always that we are the first representation of the school that prospective families see. 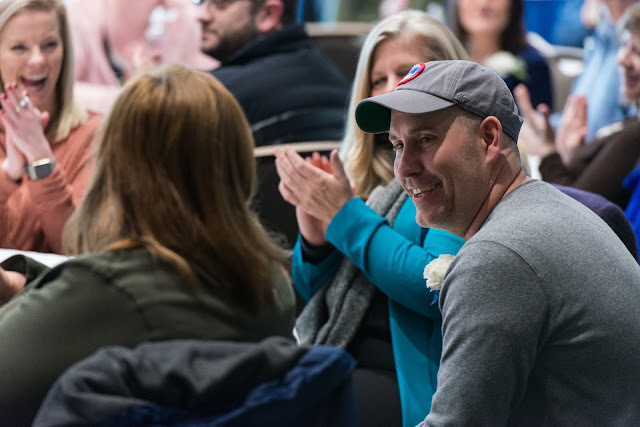 At the same time, Jill is understanding and never gets upset that we are students first, when it comes to a circumstance where we are sick or have to study for a test,” said the student nominator. Each preview day starts with Briggs buying breakfast for the student workers and staff. She is more than just a boss to the student ambassadors that she supervises. She’s a mentor, a role model and a friend. “Jill always wants to know how we are doing: reaching out when we are dealing with tough times, check to make sure our stress levels are not going too high, celebrating with us when we achieve an academic or student leadership accomplishment, telling a funny joke to ease the mood while at the same time reminding us to be vigilant in our studies,” said the student nominator. Briggs holds a holiday party of the student ambassadors each year and when they graduate she makes them a picture frame with a picture of their ambassador class and words of encouragement, which she often presents to students with tears in her eyes. Tamara Boeker, a business/administrative associate for Information Technology Services (ITS), has been named the University of Illinois Springfield Employee of the Month for May 2018. Boeker manages the financial aspects of the Information Technology Services Department, including purchasing and negotiating contracts with vendors. She has worked at UIS since 2014. Her co-workers call her the “backbone of ITS” and “a real team player.” They praise her for being respectful, patient and always professional. Most recently, Boeker started major negotiations to kick off the Canvas pilot. Additionally, she’s worked closely with Dell and with her counterparts at the Urbana campus to pull together combined purchases that allow both campuses to benefit from significant discounts. Betsy Goulet, a clinical assistant professor and Child Advocacy Studies (CAST) coordinator, has been named the University of Illinois Springfield Employee of the Month for March 2018. Goulet started the CAST certification program in 2015, which led to the creation of a Residential Simulation Lab and the mock courtroom on campus to teach students how to better protect at-risk children and families. She went a step further by partnering with the Illinois Department of Children and Family Services (DCFS) to launch a Child Protection Training Academy at UIS, which has trained hundreds of DCFS investigators and first responders. 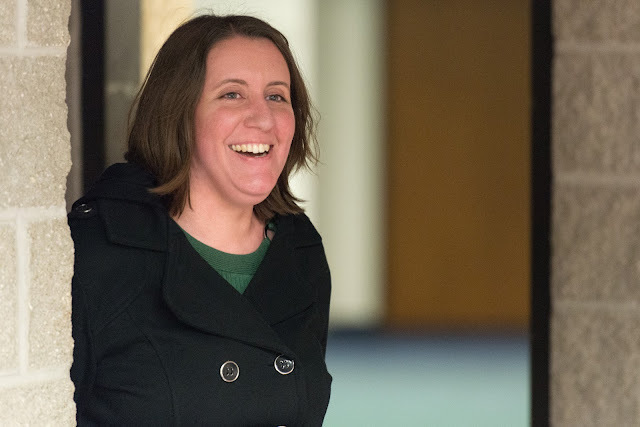 “Betsy is a tireless advocate in the effort to demonstrate what effective collaboration and partnership between professionals and organizations can mean for the University, the community and the State of Illinois,” said her nominator. Her nominator says that Goulet approaches every project with “enthusiasm and optimism” and “exudes friendliness, kindness and humor.” When obstacles present themselves, Goulet takes a solution-focused approach in order to overcome challenging situations. According to her nominator, Goulet’s kindness makes her one of the most approachable people on campus. She demonstrates daily her appreciation for those around her and makes an extra effort to know everyone by name. 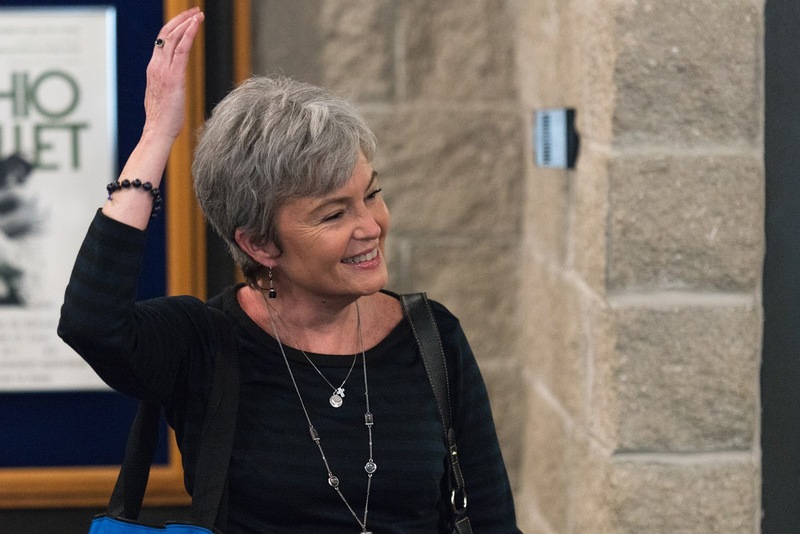 In addition to her efforts with the CAST program, Goulet is an active member of the Campus Senate and supporter of the UIS Cox Children’s Center. She has served on numerous search committees on campus and is a member of the Space Allocation Committee. Alice Seaton, business/administrative associate for University Student Financial Services and Cashier Operations (USFSCO), has been named the University of Illinois Springfield Employee of the Month for February 2018. 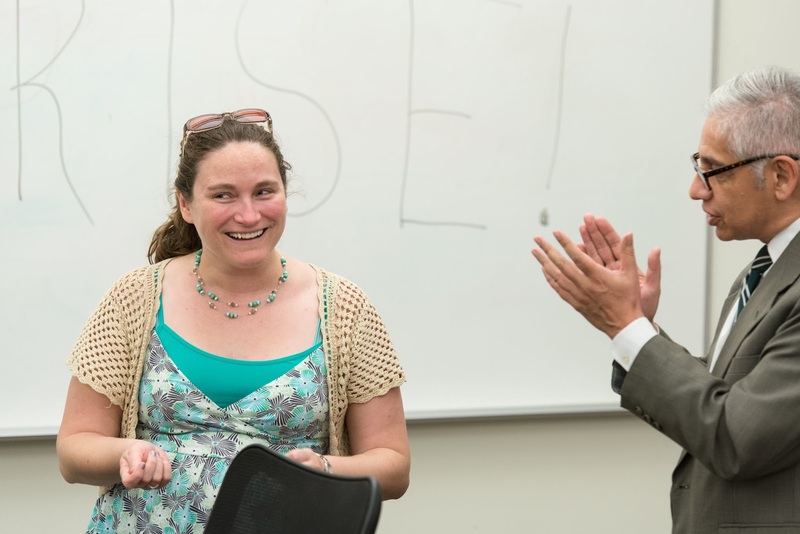 In addition to her regular duties, Seaton is responsible for making sure incoming students and parents questions about their tuition bill are answered during summer orientation. “Alice goes to great effort to ensure the UIS team is properly staffed to cover all USFSCO presentations and the Get-It-Done events. This includes making sure the team has updated handouts and Power Point presentations ready to go prior to each event,” said her nominator. Her preparation for orientation begins by attending orientation committee meetings where she provides USFSCO materials to the UIS Office of New Student Orientation & Parent Relations in time for the printing of the student and parent guidebooks. “She also does an outstanding job interacting with the new students and their parents as they participate in our presentation and Get-It-Done sessions. She is truly an asset to the team and I appreciate the hard work she puts into this task every year,” said the nominator. As the parent of a college student herself, Seaton’s nominator says she is sincere and willing to share her experiences with new parents sending their child off to college for the first time. Seaton is the direct supervisor for most of the USFSCO team at UIS, which includes three student workers. She manages hands-on day-to-day customer interactions via phone, email and walk-in traffic. “Alice relates to co-workers, students, parents, and campus staff as a knowledgeable professional who is willing to help and take time to educate when needed,” said the nominator.